It is disturbing, to say the least, when Science tries too hard to disprove the existence of God. 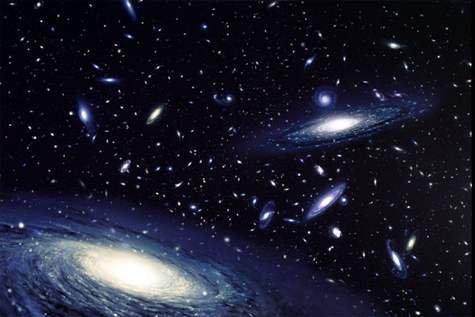 In a new publication, Stephen Hawking, a world renowned physicist, argues that God did not create the universe. It is a wonder at all that Hawking would even see fit to prefix his claims with “God may exist.” For somebody making claims as stark as he was, that he would leave himself an escape clause really sounded lame. 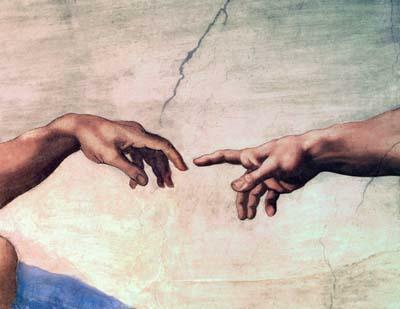 “Spontaneous creation,” Hawking wrote in his book, “is the reason why the universe and humanity exist.” In other words, what he was trying to say was that creation would have happened, anyway – with or without God. For Hawking, of course, it took a lifetime of work to arrive at such an audacious conclusion. A victim of ALS or amyotrophic lateral sclerosis, he was once given just a few years to live. Although with an emaciated body and capable of speaking only with the help of a computer voice synthesizer, his lively mind sought answers to baffling questions despite his being incapacitated. I have the deepest respect for what he has done for Science; yet that very Science he now claims to be complete and capable of explaining matters formerly in the domain of religion once predicted he would not have long to live. While Hawking did not explicitly state that God does not exist, the picture he paints of Him is one stripped of something all believers attribute to His existence: the matter of creation and the Divine Intelligence responsible for everything falling into place as it has over time. How such a profound mind as Hawking’s can miss the point, I cannot begin to ponder. First of all, there is no way to totally prove or disprove creation either as a consequence of gravity and quantum theory or by Divine Intervention. The most Science can do – as a matter of fact – is theorize. It is not, of course, as though there are still many among us in the Modern Age who continue to interpret creation as written in the Bible in the literal sense – i.e. in seven days. I would like to think that we have become a bit more sophisticated in spite of what the nuns used to teach us in Catechism. Yet, while we all wonder at the genius that people like Einstein and Hawking possess, the truth of the matter is that – in our daily lives – the laws of relativity and quantum theory mean little compared to our belief in our God. At the end of the day, whatever Hawking and Science say, God is and will always be a personal choice. So many millions of dollars used by Hawking and his associates to arrive at their theorems; millions that could have been used to feed the hungry and build bridges between nations and heal the wounds of discord… Such brilliant minds should have realized that, to you and I, whether God made the universe or not is irrelevant. It is God we thank when we get blessings. It is God we turn to when we are desperate. It is God we ask from when we have nothing. It is God we unload our innermost thoughts to when nobody else listens. It is God who brings us hope when everything seems lost. 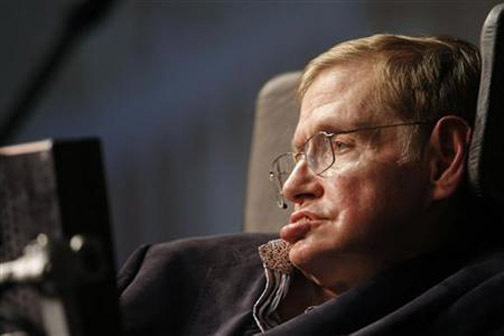 Hawking knows he has been – for sometime – on borrowed time. He knows he has some answers; but he also knows he does not know all. Were I in his shoes, I would want to close my eyes for the final time believing that I would be returning to God in Whom resides all the answers that could not be had in the earthly plane instead of thinking I would be disintegrating into a nothingness of atoms because that is what the laws of Science say. “God may exist.” Sounds a lot like somebody who is desperate to be convinced… Talk about missing the point! Who are we for God to convince? Believing is, after all, just a matter of personal choice.